At Franklin County, PA (population 140,000), we use Laserfiche in 36 of our 52 departments, and we’ve implemented about 40 different workflows. The deposit slips workflow, which is used in the Treasurer’s Office, has saved us $7,000 per year in printing costs. Here’s how it works. 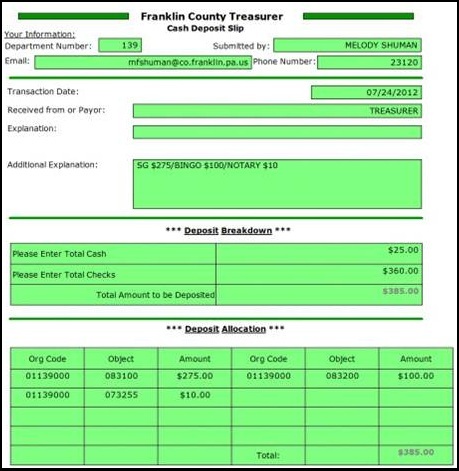 A staff member in the Treasurer’s Office fills out an e-form with information about new bank deposits. Once the user clicks the “Submit” button, the form is submitted and saved in the Laserfiche repository. The eForm fields are mapped to template fields which are automatically populated during the import process. Laserfiche Workflow uses the “Retrieve Field Values” activity to extract those field values for use as tokens in the rest of the workflow. 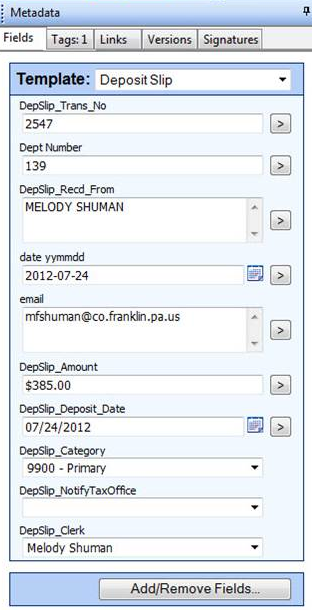 The actual deposit slip is now moved to the “Pending Cash Receipts” folder with the “Route Entry to Folder” activity where the document waits for the actual money to come into the department. Since the deposit should be received within two business days, we use the “Deadline” activity to enforce this timeframe. 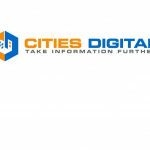 If the money is received at the office by the courier, the “DepSlip_Deposit_Date”,”DepSlip_Category” and “DepSlip_Clerk” fields are changed and the deposit slip moves to the next step in the workflow. If the money is not received in the specified timeframe, an e-mail notification is generated using the “E-mail” activity and sent to the department that originated the deposit and the Treasurer’s Office that this money has been overlooked or misplaced. Workflow then uses the “Wait for Entry Change” activity to pause the workflow until the money is received and the corresponding template field updated. Next, we use the “Retrieve Field Values” activity to generate updated tokens for use in the remainder of the workflow. We use these tokens in the contents of a text box annotation, generated with the “Add Text Box” activity that is added to the deposit slip. This text box contains details about the transaction. Next, the completed document is e-mailed to the originating department with another “E-mail” activity and the “Move Entry” activity is used to move the document to the “Daily Reporting” folder. In our county regional tax collectors receive money due on property taxes. Whenever any one of the tax collectors bring funds into the Treasurer’s Office for deposit, the tax office needs to be notified of incoming money. A “Conditional Sequence” activity checks to see if the value of the “DepSlip_NotifyTaxOffice” field is set to “yes” which generates an e-mail notification to the tax office. After the e-mail is generated and if the value of the “DepSlip_NotifyTaxOffice” field is set to “No”, a “New Deposit” security tag is assigned to the deposit slip with an “Assign Tags” activity. A separate workflow runs on a schedule and looks for all the documents with the “New Deposit” tag, populates the SQL reporting database with the deposit metadata, and routes the document to its final storage in Laserfiche. 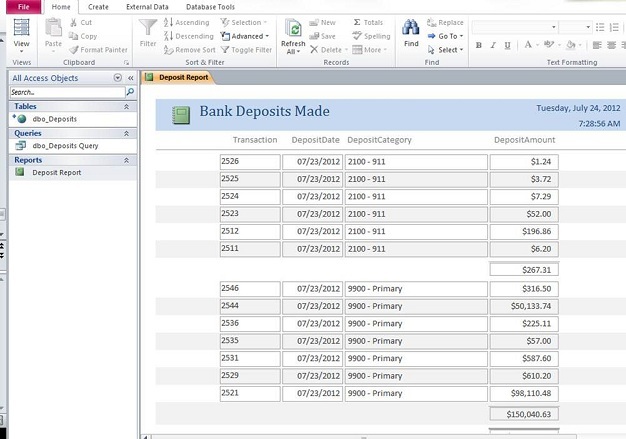 A manager can then generate a custom SQL report with information about all new deposits that have been made. Saved $7,000 per year on printing deposit slips. Saved one hour of staff labor each day. Increased transparency as the department now knows when to expect incoming money.